I once wrote an article about how discovering homeostasis was the only thing that “flipped a switch” in my brain, and motivated me to live an amazing life with ADHD. To put this in perspective for you, I studied entrepreneurship in college. I’ve surrounded myself with ambitious and creative people since 2010. And, nothing has come close to motivating me like learning about homeostasis has. The topic of homeostasis is that important to me. I think about it nearly every day. Ludvig Sunström is the master of homeostasis. I learned about homeostasis through Ludvig, and the free content available on his website Start Gaining Momentum. I’m writing this article because Ludvig has just launched a book that will change your life forever. The book is called Breaking Out of Homeostasis. 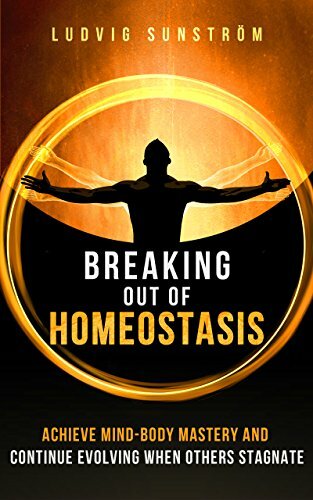 Breaking Out of Homeostasis is finally available on Amazon. You can read it today. This book has been “in the works” for years now. It’s a total masterpiece. Breaking Out of Homeostasis is the book that I wish I had access to when I was 18 years old, so that I could experience a “Winner Effect” as early in life as possible (you’ll read much more on this below). Of course, there’s still so much more that you’ll learn from actually reading the book. I can’t cover everything here. But, the rest of this article consists of my Breaking Out of Homeostasis review. 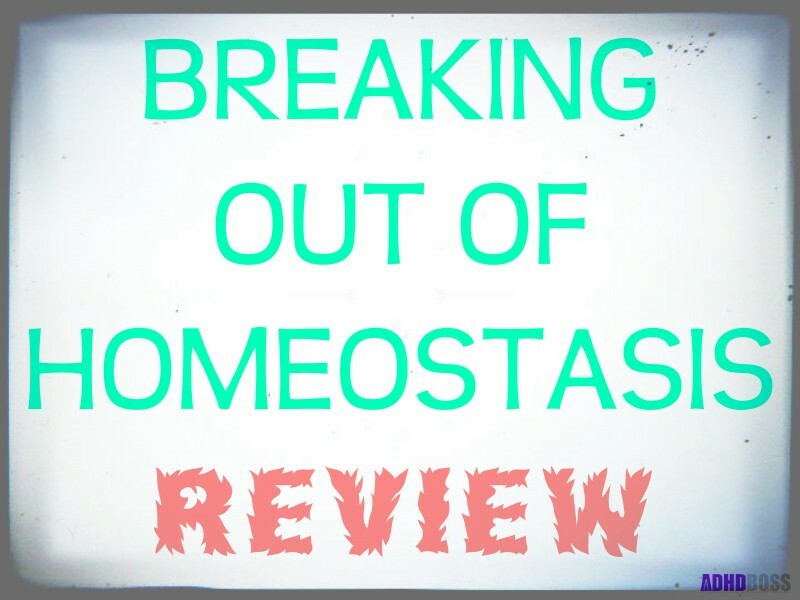 Here, I’ll cover some of the main takeaways that I picked up from reading Breaking Out of Homeostasis. If you haven’t heard much about homeostasis before, then you’re probably wondering what I’m even talking about here. So, let me be clear when I say that learning about homeostasis and choosing to break out of homeostasis may be the most important decision of your life. It certainly was for my life. Homeostasis is your brain and body’s feedback mechanism for survival. 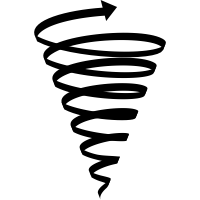 Homeostasis causes you to stay the same, and resist change. When you aren’t aware of homeostasis, you will feel an invisible force constantly “pushing back” against your every move in life. Homeostasis is the reason why most people are hardwired to take the “path of least resistance” most of the time. It’s the reason why laziness is most people’s default state. I was stuck in homeostasis for a very long time (up until I was around 21 years old). To be fair, homeostasis used to be helpful. Thousands of years ago, when food was scarce, life was extremely harsh. During these ancient times, people actually needed to conserve energy in order to survive. Homeostasis is what kept your ancestors alive, and essentially allowed you to be born. Today, homeostasis is still fully ingrained in your DNA. Because of homeostasis, you’re still wired for physical and psychological laziness by default. But, you no longer need to conserve energy, take mental shortcuts, or be “lazy” in order to survive. The dark days are over. Now, you need to exert mental and physical energy over the long-term in order to gain an edge in life. In today’s world, homeostasis is most likely the #1 thing that’s preventing you from living a happy, successful, fun, and fulfilling life. You need to Break Out of Homeostasis today, and set yourself free. 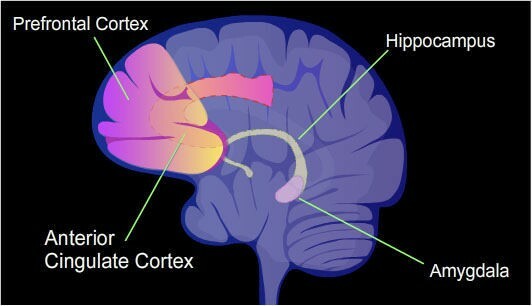 ADHD is characterized by a dysfunctional prefrontal cortex. If you have ADHD, then you probably have trouble with processing, prioritizing, and organizing information. According to Dr. Daniel Amen, when people with ADHD “try harder” at concentrating, the activity in the prefrontal cortex actually decreases. So, what is someone with ADHD supposed to do, if they want to be able to think and focus like a successful, high-performing human being? Well, Breaking Out of Homeostasis provides you with “The 4 Pillars of Wakefulness” – which is a shockingly relevant and useful strategy for living a smarter and more focused lifestyle with ADHD. The reason people who have ADHD are “hyperactive” is because their PFC is wired differently from most people and their baseline need for novelty and stimulation is much stronger. This means that people with ADHD should internalize The 4 Pillars of Wakefulness, and amplify these pillars to the extreme. People with ADHD absolutely need novelty, variation, randomness, and goal-orientation (I refer to goal-orientation as building systems, but you get the picture). The 4 Pillars of Wakefulness are the key to a life well lived with ADHD. ADHD is not going to stop you from practicing The 4 Pillars of Wakefulness, and stimulating your prefrontal cortex. In fact, people with ADHD need to practice The 4 Pillars of Wakefulness even more often than the general population, because we require greater levels of novelty and stimulation. Practicing these pillars will help you stay engaged with life, and keep you optimistic about your journey. If you don’t practice these pillars, then you risk becoming habituated, and your prefrontal cortex could completely poop out on you (if it hasn’t done so already). The subtle art of avoiding habituation, via steady upkeep of the four pillars of wakefulness, is one of the most important aspects in determining a person’s chances for long-term success. Living a great life will always require maintaining The 4 Pillars of Wakefulness, and steadily amplifying these pillars in your life. In other words, you have to get used to feeling uncomfortable, because discomfort is typically a sign of personal growth or progress. As you learned in the section above, anyone with ADHD can use The 4 Pillars of Wakefulness to improve the level of activity in your prefrontal cortex, and enjoy a much better quality of life. But, what if stimulating your prefrontal cortex isn’t even the “highest leverage” activity that you can spend your time doing? For people with ADHD, there’s a chance that your time will be best spent taming your amygdala, developing leadership qualities, and simply becoming a boss at whatever it is that you want to do in life. Success in most areas of life has less to do with skill than it has to do with mustering up the gumption to challenge social norms and doing something unconventional. This is the easiest way to get an edge – by taking initiative and differentiating yourself…It’s not the smartest people who win. It’s the ones who are least cognitively blocked. Your amygdala dictates your need to “fit in” with other people. It determines the extent to which you’re ruled by social norms, social status, contextual confidence, and more. 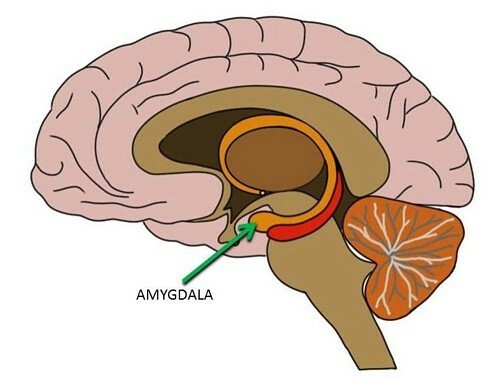 Your amygdala activates in social settings, when you feel judged or threatened. Interestingly, some studies have shown amygdala abnormalities in people with ADHD. These studies indicate lower impulse control and emotional processing in the amygdalas of ADHD patients. Could this be one of the reasons why some people with ADHD turn out to be wildly successful leaders, while other people with ADHD become addicted to alcohol, drugs, and similar vices? I truly believe that most people with ADHD should practice taming their amygdala, because this is an area where people with ADHD may already have a built-in competitive advantage. Many people with ADHD are naturally disruptive, impulsive, and challenging of social norms. So, if you were disruptive in the classroom, then why wouldn’t you transfer your disruptive behavior to the world of art, music, or business? If you have ADHD, there’s a chance that your amygdala is already somewhat “tamed”, because you’re already willing to take some risks, and do bold things. But, you can always further tame your amygdala, and acquire an even bigger advantage for your life. For example, in the book, Ludvig offers a variety of ways for you to embrace your boldness, train away useless social fears, and further restrict your amygdala from inhibiting you cognitively. If thinking about any one of these activities makes you shudder, then you probably need to do that activity. If you don’t face your fears, then you risk becoming what Ludvig calls an amygdala slave. Luckily, I don’t think that people with ADHD are total amygdala slaves by default, because we are naturally prone to be impulsive, disruptive, and sometimes even bold. But, no one is immune from learning all kinds of useless “social fears” that society perpetuates. I definitely still have many of these social fears that I’m working hard to eliminate. Because at the end of the day, you ultimately have to expose yourself to some scary activities if you hope to live a bold, adventurous, and exciting lifestyle. The chapter on getting yourself out of a depressing downward spiral, and thrusting yourself into a “Winner Effect” was my favorite part about Breaking Out of Homeostasis. Probably because this chapter hit really close to home. I’ve always been kind of a slow learner. So, I found it especially challenging to break out of the depressing downward spiral that I was in towards the end of my college career (this was around 2014 or so). I had to consume countless books, philosophical texts, high-quality (educational) YouTube videos, podcasts, and self-help articles for two years before I saw any real positive momentum in my life. In other words, I had to scrape and claw my way out of the weird depressive funk that I was in. One time, I even called a stranger from an internet forum because I was considering dropping out of college to start an “adult toy” company. Yeah, I was starting to go off the rails a little bit. Luckily, the guy convinced me to stay in college. I’m still in touch with the guy to this day. After enough scraping and clawing, things finally started to go my way. Once I experienced a genuine Winner Effect for the first time, I knew there was no going back. The Winner Effect is highly-addictive. And best of all, you only have to experience the Winner Effect one time to get a feel for what your entire life can be like. This is why I have hope for anyone who’s reading this article, and going through a difficult time in life. If you’re willing to “scrape and claw” your way out of a bad situation for just a year or two, I’m convinced that you can turn your life around, no matter what you’re going through. In Breaking Out of Homeostasis, Ludvig suggests that the best way to thrust into a Winner Effect is to transform your reward system. You can rewire your brain’s reward system to like most things, as long as you genuinely want to change and you don’t hate the activity from the start. I find this to be 100% true. Especially when you have ADHD. People with ADHD don’t produce enough dopamine by default. This is a distinct characteristic of ADHD. Therefore, it’s extremely important for you to become conscious of how you acquire your dopamine. There are unhealthy ways to acquire dopamine. And, there are extremely productive ways for you to acquire dopamine. It’s just as possible to enjoy hard work, eating healthy foods, meditation, reading books, going to the gym, working on meaningful projects, building a business, and facing your fears—things that make you healthy, happy and successful—as it is to enjoy watching TV, reading gossip magazines, eating junk food, going shopping, and getting drunk in a bar. It’s just hard to make that initial switch, because the latter things are inherently more appetizing to our biology. You ultimately have to create positive reward systems that lead you to a happy, healthy, and successful life with ADHD. Life is way too short to be wasted. Best of all, Ludvig explains various concepts in Breaking Out of Homeostasis that will help you experience a Winner Effect as quickly as possible. Keep in mind that experiencing a Winner Effect just one time may be all that it takes to completely turn your life around. If you’re struggling hard right now, you just have to think about getting that initial Winner Effect, and “riding it out” for even more success. If you’re already in a Winner Effect, Ludvig also provides you with strategies to keep the Winner Effect working for you over the long-term. One of the central themes of Breaking Out of Homeostasis is about making the transition from being a “Homeostasis Dweller” to becoming a “Homeostasis Breaker”. If you’re ready and willing to make real transformational changes in your life, this is the #1 book that I would recommend to you. Breaking Out of Homeostasis is the book that I wish I could’ve read when I was 18 years old. But, I’m still grateful to have found it today. And, I still believe that you should read this book regardless of your age, or current station in life – because everyone is dealing with some kind of homeostatic obstacle that needs to be overcome. Funny enough, I approached Breaking Out of Homeostasis with a specific problem in mind, and this book totally solved the exact problem that I was facing. The universe works that way sometimes. So, I recommend that you pick up a copy of Breaking Out of Homeostasis on Amazon, and approach this book with your single biggest problem in mind. I probably would have paid ~$3000 to access the information in this book when I was 18 years old. But today, anyone can grab a copy of Breaking Out of Homeostasis for about the price of a fast food lunch. If you’re interested in self-development, this is the type of book that you’ll want to read at least once or twice per year. There’s absolutely zero fluff in this book. It’s a masterful blend of psychology, neuroscience, historical anecdotes, personal stories, life advice, and so much more. Breaking Out of Homeostasis is going to change your life. P.S. If you have a child who’s currently in high school or college, I highly-recommend picking up an extra copy of Breaking Out of Homeostasis for them as well. Your son or daughter will thank you dearly. Thanks for this review, I have bought the book with your amazon link to try and change a few things in my life after working out I had ADHD at the age of 47ish. Your information is far easier to relate to than the amazon sample by a country lime so hi five for that too. Thanks so much Tony. Please let me know how the book works for you 🙂 It’s a life-changing book in my honest opinion.